 Your gift to Cedar Valley Friends of the Family Endowment Fund with the Waverly Community Fund will help the Cedar Valley Friends of the Family carry out their mission and programs. Your gift to the Corson Family Charitable Unrestricted Fund with the Waverly Community Fund allows us to continually respond to the current and unique needs of the community of Waverly. By making this gift, you give us flexibility to fund charitable programs and projects in the community to explore the arts and celebrate diversity, support healthy lifestyles, protect natural resources, educate future generations, preserve the past, build hope for tomorrow, ensure a safe place to live, and improve the quality of life for all. Your gift to the Gaylor Family Fund with the Waverly Community Fund allows us to continually respond to the current and unique needs of Bremer County. By making this gift, you give us flexibility to fund charitable programs and projects in the community to explore the arts and celebrate diversity, support healthy lifestyles, protect natural resources, educate future generations, preserve the past, build hope for tomorrow, ensure a safe place to live, and improve the quality of life for all. Your gift to the Dr. Herbert W. Rathe Fund with the Waverly Community Fund will support the charitable activities of the children's section of the Waverly Public Library. Your gift to the Shell Rock Products Fund with the Waverly Community Fund allows us to continually respond to the current and unique needs of the geographic area of Waverly. By making this gift, you give us flexibility to fund charitable programs and projects in the community to explore the arts and celebrate diversity, support healthy lifestyles, protect natural resources, educate future generations, preserve the past, build hope for tomorrow, ensure a safe place to live, and improve the quality of life for all. Your gift to the Greater Waverly Kiwanis Club Charitable Fund with the Waverly Community Fund will benefit area youth and their families through the charitable activities of the Greater Waverly Kiwanis Club. Your gift to the Waverly Leisure Services Endowment Fund with the Waverly Community Fund will benefit the charitable activities of the Waverly Leisure Services. Your gift to the Wartburg Community Symphony Association Endowment Fund with the Waverly Community Fund will help support the Wartburg Community Symphony Association's charitable activities. Your gift to the Waverly Leisure Services Fund with the Waverly Community Fund will benefit the charitable activities of Waverly Leisure Services. Your gift to the Waverly Area Veterans Post Fund with the Waverly Community Fund will help support the Waverly Area Veterans Post in building a joint veterans center for the Waverly AMVETS, American Legion, VFW and Marine Corps League veteran posts.